She presented at the Intergenerational Partnerships Think Tank, hosted on November 2, 2018. One of the goals on the agenda was to allow individuals from long-term care/retirement and education perspectives, including members from the Ministry of Education, to better understand what the role of a secondary school co-operative student could look like in a long-term care or retirement home. 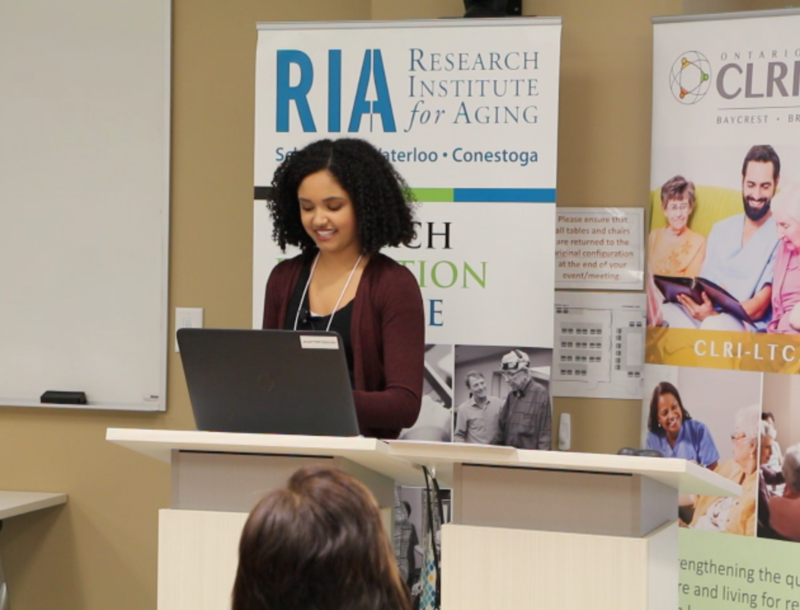 Kyla helped to identify ways that students can contribute to the home, the supports that need to be in place for a co-op student to be successful, and how these placements are meaningful for both students and older adults. Kyla has recently been contacted by the Ontario Association of Residents Council (OARC) and asked to write about her experience from a student’s perspective for their upcoming newsletter. Read the full article on the Halton Catholic District School Board website and watch Kyla’s presentation at the Intergenerational Partnerships Think Tank.